This female was on the outside of the window. Smaller than usual Chironomini seen in the area, but bigger than some Orthocladinae also seen in the same place. It was about 4 mm long. This pic was taken today in southwestern France. Would the colour be a hint for the genus ? Difficult to be certain, but this looks to have a long fore-metatarsus, placing it in the Chironominae. 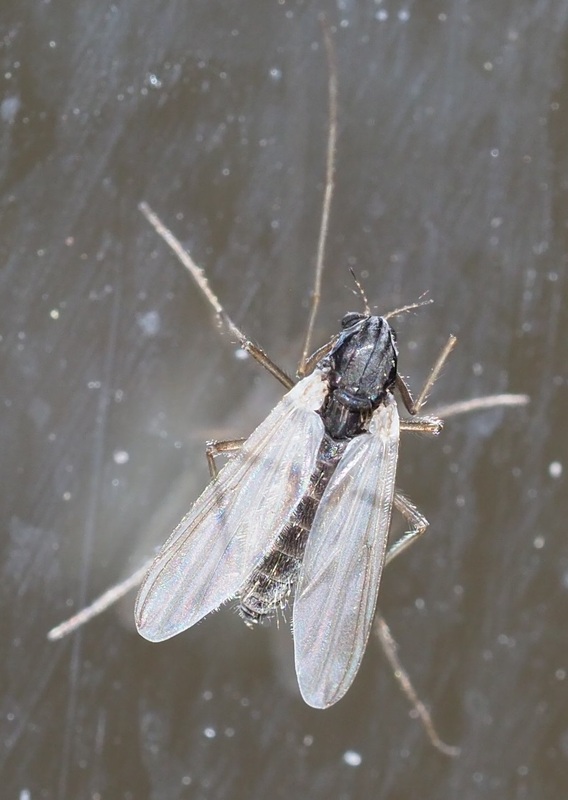 It looks like Chironomini, and the hairy wing suggests the Phaenopsectra-Sergentia group.